Third Row Seat, Blind Spot Monitor, Cross-Traffic Alert. REFLEX SILVER exterior and TITAN BLACK CLOTH interior, 2.0T S trim. CLICK NOW!KEY FEATURES INCLUDEThird Row Seat, Rear Air, Back-Up Camera, Turbocharged, iPod/MP3 Input, Bluetooth, Aluminum Wheels, Smart Device Integration, Blind Spot Monitor, Cross-Traffic Alert. Rear Spoiler, MP3 Player, Keyless Entry, Privacy Glass, Steering Wheel Controls. Volkswagen 2.0T S with REFLEX SILVER exterior and TITAN BLACK CLOTH interior features a 4 Cylinder Engine with 235 HP at 4500 RPM*. EXPERTS ARE SAYINGGreat Gas Mileage: 26 MPG Hwy. MORE ABOUT USNorth Park Volkswagen of Dominion is located at 21315 West Interstate 10, just east of Friedrich Park. Volkswagen is widely recognized for quality, reliability, value, and an award-winning commitment to customer satisfaction. Our state of the art dealership has the largest VW inventory in Central Texas. Visit us at www.northparkvw.com to schedule an appointment with one of our VW Experts. Please confirm the accuracy of the included equipment by calling us prior to purchase. 3rd Row Seat, Heated Seats, CD Player. 3.6L V6 SE w/Technology trim, DEEP BLACK PEARL EFFECT exterior and TITAN BLACK V-TEX interior READ MORE!KEY FEATURES INCLUDEThird Row Seat, Rear Air, Heated Driver Seat, Back-Up Camera, Satellite Radio, iPod/MP3 Input, CD Player, Onboard Communications System, Keyless Start, Dual Zone A/C, Blind Spot Monitor, Smart Device Integration, Cross-Traffic Alert, Heated Seats. Rear Spoiler, MP3 Player, Keyless Entry, Privacy Glass, Steering Wheel Controls. OPTION PACKAGES20" SILVER TRIPLE 5-SPOKE WHEELS Wheels: 20" Silver Triple 5-Spoke Alloy, Tires: 20" All-Season, TOWING PACKAGE Factory installed trailer hitch w/5,000 lbs, towing capacity. Volkswagen 3.6L V6 SE w/Technology with DEEP BLACK PEARL EFFECT exterior and TITAN BLACK V-TEX interior features a V6 Cylinder Engine with 276 HP at 6200 RPM*. EXPERTS REPORTGreat Gas Mileage: 24 MPG Hwy. OUR OFFERINGSNorth Park Volkswagen of Dominion is located at 21315 West Interstate 10, just east of Friedrich Park. Volkswagen is widely recognized for quality, reliability, value, and an award-winning commitment to customer satisfaction. Our state of the art dealership has the largest VW inventory in Central Texas. Visit us at www.northparkvw.com to schedule an appointment with one of our VW Experts. Please confirm the accuracy of the included equipment by calling us prior to purchase. Third Row Seat, Heated Seats, iPod/MP3 Input. 3.6L V6 SE trim, PLATINUM GRAY METALLIC exterior and TITAN BLACK V-TEX interior READ MORE!KEY FEATURES INCLUDEThird Row Seat, Rear Air, Heated Driver Seat, Back-Up Camera, Satellite Radio, iPod/MP3 Input, CD Player, Onboard Communications System, Aluminum Wheels, Dual Zone A/C, Smart Device Integration, Blind Spot Monitor, Cross-Traffic Alert, Heated Seats. Rear Spoiler, MP3 Player, Privacy Glass, Keyless Entry, Steering Wheel Controls. OPTION PACKAGES2ND-ROW DUAL CAPTAIN'S CHAIRS Two bucket seats w/fold-down armrests in place of standard 2nd row bench seat, TOWING PACKAGE Factory installed trailer hitch w/5,000 lbs, towing capacity, REMOTE ENGINE START W/REMOTE KEY FOB (1), FRAMELESS SELF-DIMMING REARVIEW MIRROR compass and HomeLink garage door opener. Volkswagen 3.6L V6 SE with PLATINUM GRAY METALLIC exterior and TITAN BLACK V-TEX interior features a V6 Cylinder Engine with 276 HP at 6200 RPM*. EXPERTS RAVEGreat Gas Mileage: 24 MPG Hwy. WHO WE ARENorth Park Volkswagen of Dominion is located at 21315 West Interstate 10, just east of Friedrich Park. Volkswagen is widely recognized for quality, reliability, value, and an award-winning commitment to customer satisfaction. Our state of the art dealership has the largest VW inventory in Central Texas. Visit us at www.northparkvw.com to schedule an appointment with one of our VW Experts. Please confirm the accuracy of the included equipment by calling us prior to purchase. Heated Seats, 3rd Row Seat, Remote Engine Start. 3.6L V6 SE w/Technology trim, REFLEX SILVER exterior and TITAN BLACK V-TEX interior. CLICK ME!KEY FEATURES INCLUDEThird Row Seat, Power Liftgate, Rear Air, Heated Driver Seat, Back-Up Camera, Satellite Radio, iPod/MP3 Input, CD Player, Onboard Communications System, Remote Engine Start, Dual Zone A/C, Smart Device Integration, Blind Spot Monitor, Lane Keeping Assist, Cross-Traffic Alert. Rear Spoiler, MP3 Player, Privacy Glass, Remote Trunk Release, Keyless Entry. OPTION PACKAGES20" SILVER TRIPLE 5-SPOKE WHEELS Wheels: 20" Silver Triple 5-Spoke Alloy, Tires: 20" All-Season, FRAMELESS SELF-DIMMING REARVIEW MIRROR compass and HomeLink garage door opener, PRIVACY COVER tonneau privacy cover for cargo area. Volkswagen 3.6L V6 SE w/Technology with REFLEX SILVER exterior and TITAN BLACK V-TEX interior features a V6 Cylinder Engine with 276 HP at 6200 RPM*. EXPERTS ARE SAYINGGreat Gas Mileage: 24 MPG Hwy. OUR OFFERINGSNorth Park Volkswagen of Dominion is located at 21315 West Interstate 10, just east of Friedrich Park. Volkswagen is widely recognized for quality, reliability, value, and an award-winning commitment to customer satisfaction. Our state of the art dealership has the largest VW inventory in Central Texas. Visit us at www.northparkvw.com to schedule an appointment with one of our VW Experts. Please confirm the accuracy of the included equipment by calling us prior to purchase. Heated Seats, 3rd Row Seat, Keyless Start. REFLEX SILVER exterior and TITAN BLACK V-TEX interior, 3.6L V6 SE w/Technology trim. AND MORE!KEY FEATURES INCLUDEThird Row Seat, Rear Air, Heated Driver Seat, Back-Up Camera, Satellite Radio, iPod/MP3 Input, CD Player, Onboard Communications System, Keyless Start, Dual Zone A/C, Blind Spot Monitor, Smart Device Integration, Cross-Traffic Alert, Heated Seats Rear Spoiler, MP3 Player, Keyless Entry, Privacy Glass, Steering Wheel Controls. OPTION PACKAGES20" SILVER TRIPLE 5-SPOKE WHEELS Wheels: 20" Silver Triple 5-Spoke Alloy, Tires: 20" All-Season, TOWING PACKAGE Factory installed trailer hitch w/5,000 lbs, towing capacity. Volkswagen 3.6L V6 SE w/Technology with REFLEX SILVER exterior and TITAN BLACK V-TEX interior features a V6 Cylinder Engine with 276 HP at 6200 RPM*. EXPERTS ARE SAYINGGreat Gas Mileage: 24 MPG Hwy. BUY FROM AN AWARD WINNING DEALERNorth Park Volkswagen of Dominion is located at 21315 West Interstate 10, just east of Friedrich Park. Volkswagen is widely recognized for quality, reliability, value, and an award-winning commitment to customer satisfaction. Our state of the art dealership has the largest VW inventory in Central Texas. Visit us at www.northparkvw.com to schedule an appointment with one of our VW Experts. Please confirm the accuracy of the included equipment by calling us prior to purchase. Heated Seats, 3rd Row Seat, Keyless Start. REFLEX SILVER exterior and TITAN BLACK V-TEX interior, 3.6L V6 SE w/Technology trim. CLICK ME!KEY FEATURES INCLUDEThird Row Seat, Rear Air, Heated Driver Seat, Back-Up Camera, Satellite Radio, iPod/MP3 Input, CD Player, Onboard Communications System, Keyless Start, Dual Zone A/C, Cross-Traffic Alert, Blind Spot Monitor, Smart Device Integration, Heated Seats Rear Spoiler, MP3 Player, Keyless Entry, Privacy Glass, Child Safety Locks. OPTION PACKAGES20" SILVER TRIPLE 5-SPOKE WHEELS Wheels: 20" Silver Triple 5-Spoke Alloy, Tires: 20" All-Season, TOWING PACKAGE Factory installed trailer hitch w/5,000 lbs, towing capacity, FRAMELESS SELF-DIMMING REARVIEW MIRROR compass and HomeLink garage door opener. Volkswagen 3.6L V6 SE w/Technology with REFLEX SILVER exterior and TITAN BLACK V-TEX interior features a V6 Cylinder Engine with 276 HP at 6200 RPM*. VEHICLE REVIEWSGreat Gas Mileage: 24 MPG Hwy. MORE ABOUT USNorth Park Volkswagen of Dominion is located at 21315 West Interstate 10, just east of Friedrich Park. Volkswagen is widely recognized for quality, reliability, value, and an award-winning commitment to customer satisfaction. Our state of the art dealership has the largest VW inventory in Central Texas. Visit us at www.northparkvw.com to schedule an appointment with one of our VW Experts. Please confirm the accuracy of the included equipment by calling us prior to purchase. 3rd Row Seat, Heated Seats, Keyless Start, Tow Hitch. 3.6L V6 SE w/Technology trim, PURE WHITE exterior and TITAN BLACK V-TEX interior CLICK ME!KEY FEATURES INCLUDEThird Row Seat, Rear Air, Heated Driver Seat, Back-Up Camera, Satellite Radio, iPod/MP3 Input, CD Player, Onboard Communications System, Keyless Start, Dual Zone A/C, Blind Spot Monitor, Smart Device Integration, Cross-Traffic Alert, Heated Seats. Rear Spoiler, MP3 Player, Keyless Entry, Privacy Glass, Steering Wheel Controls. OPTION PACKAGES20" SILVER TRIPLE 5-SPOKE WHEELS Wheels: 20" Silver Triple 5-Spoke Alloy, Tires: 20" All-Season, TOWING PACKAGE Factory installed trailer hitch w/5,000 lbs, towing capacity. Volkswagen 3.6L V6 SE w/Technology with PURE WHITE exterior and TITAN BLACK V-TEX interior features a V6 Cylinder Engine with 276 HP at 6200 RPM*. EXPERTS CONCLUDEGreat Gas Mileage: 24 MPG Hwy. BUY FROM AN AWARD WINNING DEALERNorth Park Volkswagen of Dominion is located at 21315 West Interstate 10, just east of Friedrich Park. Volkswagen is widely recognized for quality, reliability, value, and an award-winning commitment to customer satisfaction. Our state of the art dealership has the largest VW inventory in Central Texas. Visit us at www.northparkvw.com to schedule an appointment with one of our VW Experts. Please confirm the accuracy of the included equipment by calling us prior to purchase. Heated Seats, 3rd Row Seat, Keyless Start. REFLEX SILVER exterior and TITAN BLACK V-TEX interior, 3.6L V6 SE w/Technology trim. AND MORE!KEY FEATURES INCLUDEThird Row Seat, Rear Air, Heated Driver Seat, Back-Up Camera, Satellite Radio, iPod/MP3 Input, CD Player, Onboard Communications System, Keyless Start, Dual Zone A/C, Blind Spot Monitor, Smart Device Integration, Cross-Traffic Alert, Heated Seats Rear Spoiler, MP3 Player, Keyless Entry, Privacy Glass, Steering Wheel Controls. OPTION PACKAGES20" SILVER TRIPLE 5-SPOKE WHEELS Wheels: 20" Silver Triple 5-Spoke Alloy, Tires: 20" All-Season, TOWING PACKAGE Factory installed trailer hitch w/5,000 lbs, towing capacity. Volkswagen 3.6L V6 SE w/Technology with REFLEX SILVER exterior and TITAN BLACK V-TEX interior features a V6 Cylinder Engine with 276 HP at 6200 RPM*. EXPERTS ARE SAYINGGreat Gas Mileage: 24 MPG Hwy. WHY BUY FROM USNorth Park Volkswagen of Dominion is located at 21315 West Interstate 10, just east of Friedrich Park. Volkswagen is widely recognized for quality, reliability, value, and an award-winning commitment to customer satisfaction. Our state of the art dealership has the largest VW inventory in Central Texas. Visit us at www.northparkvw.com to schedule an appointment with one of our VW Experts. Please confirm the accuracy of the included equipment by calling us prior to purchase. Heated Seats, 3rd Row Seat, iPod/MP3 Input, CD Player. 3.6L V6 SE trim, PLATINUM GRAY METALLIC exterior and TITAN BLACK V-TEX interior. SEE MORE!KEY FEATURES INCLUDEThird Row Seat, All Wheel Drive, Rear Air, Heated Driver Seat, Back-Up Camera, Satellite Radio, iPod/MP3 Input, CD Player, Onboard Communications System, Aluminum Wheels, Keyless Start, Dual Zone A/C, Blind Spot Monitor, Cross-Traffic Alert, Smart Device Integration Rear Spoiler, MP3 Player, Privacy Glass, Keyless Entry, Child Safety Locks. OPTION PACKAGESTOWING PACKAGE Factory installed trailer hitch w/5,000 lbs, towing capacity, FRAMELESS SELF-DIMMING REARVIEW MIRROR compass and HomeLink garage door opener, PRIVACY COVER tonneau privacy cover for cargo area. Volkswagen 3.6L V6 SE with PLATINUM GRAY METALLIC exterior and TITAN BLACK V-TEX interior features a V6 Cylinder Engine with 276 HP at 6200 RPM*. OUR OFFERINGSNorth Park Volkswagen of Dominion is located at 21315 West Interstate 10, just east of Friedrich Park. Volkswagen is widely recognized for quality, reliability, value, and an award-winning commitment to customer satisfaction. Our state of the art dealership has the largest VW inventory in Central Texas. Visit us at www.northparkvw.com to schedule an appointment with one of our VW Experts. Please confirm the accuracy of the included equipment by calling us prior to purchase. Heated Seats, 3rd Row Seat. 3.6L V6 SE w/Technology trim, DEEP BLACK PEARL EFFECT exterior and SHETLAND V-TEX LEATHERETTE interior. CLICK ME!KEY FEATURES INCLUDEThird Row Seat, Power Liftgate, Rear Air, Heated Driver Seat, Back-Up Camera, Satellite Radio, iPod/MP3 Input, CD Player, Onboard Communications System, Remote Engine Start, Dual Zone A/C, Smart Device Integration, Blind Spot Monitor, Cross-Traffic Alert, Lane Keeping Assist. Rear Spoiler, MP3 Player, Privacy Glass, Remote Trunk Release, Keyless Entry. OPTION PACKAGES20" SILVER TRIPLE 5-SPOKE WHEELS Wheels: 20" Silver Triple 5-Spoke Alloy, Tires: 20" All-Season, TOWING PACKAGE Factory installed trailer hitch w/5,000 lbs, towing capacity, FRAMELESS SELF-DIMMING REARVIEW MIRROR compass and HomeLink garage door opener, PRIVACY COVER tonneau privacy cover for cargo area. Volkswagen 3.6L V6 SE w/Technology with DEEP BLACK PEARL EFFECT exterior and SHETLAND V-TEX LEATHERETTE interior features a V6 Cylinder Engine with 276 HP at 6200 RPM*. EXPERTS CONCLUDEGreat Gas Mileage: 24 MPG Hwy. OUR OFFERINGSNorth Park Volkswagen of Dominion is located at 21315 West Interstate 10, just east of Friedrich Park. Volkswagen is widely recognized for quality, reliability, value, and an award-winning commitment to customer satisfaction. Our state of the art dealership has the largest VW inventory in Central Texas. Visit us at www.northparkvw.com to schedule an appointment with one of our VW Experts. Please confirm the accuracy of the included equipment by calling us prior to purchase. Upgraded running boards installed, 3rd Row Seat, Heated Seats, Keyless Start. 3.6L V6 SE w/Technology trim, PLATINUM GRAY METALLIC exterior and TITAN BLACK V-TEX interior. CLICK ME!KEY FEATURES INCLUDEThird Row Seat, Rear Air, Heated Driver Seat, Back-Up Camera, Satellite Radio, iPod/MP3 Input, CD Player, Onboard Communications System, Keyless Start, Dual Zone A/C, Heated Seats. Rear Spoiler, MP3 Player, Keyless Entry, Privacy Glass, Child Safety Locks.OPTION PACKAGES20" SILVER TRIPLE 5-SPOKE WHEELS Wheels: 20" Silver Triple 5-Spoke Alloy, Tires: 20" All-Season, TOWING PACKAGE Factory installed trailer hitch w/5,000 lbs, towing capacity. 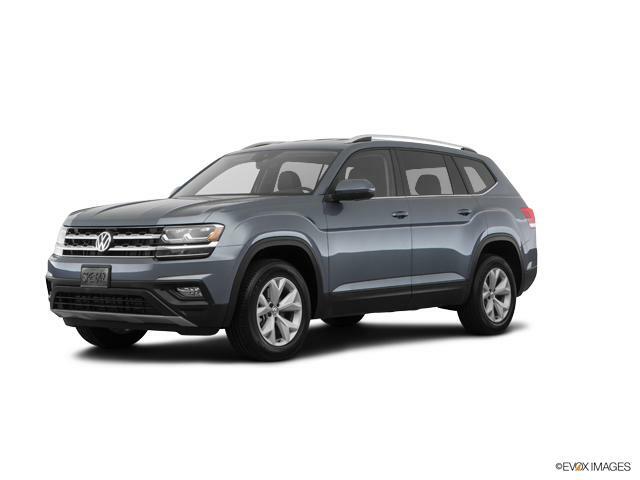 Volkswagen 3.6L V6 SE w/Technology with PLATINUM GRAY METALLIC exterior and TITAN BLACK V-TEX interior features a V6 Cylinder Engine with 276 HP at 6200 RPM*.MORE ABOUT USNorth Park Volkswagen of Dominion is located at 21315 West Interstate 10, just east of Friedrich Park. Volkswagen is widely recognized for quality, reliability, value, and an award-winning commitment to customer satisfaction. Our state of the art dealership has the largest VW inventory in Central Texas. Visit us at www.northparkvw.com to schedule an appointment with one of our VW Experts.Please confirm the accuracy of the included equipment by calling us prior to purchase. Third Row Seat, Heated Seats, Back-Up Camera, Rear Air. 3.6L V6 SE trim, REFLEX SILVER exterior and TITAN BLACK V-TEX interior. CLICK NOW!KEY FEATURES INCLUDEThird Row Seat, All Wheel Drive, Rear Air, Heated Driver Seat, Back-Up Camera, Satellite Radio, iPod/MP3 Input, CD Player, Onboard Communications System, Aluminum Wheels, Dual Zone A/C, Cross-Traffic Alert, Blind Spot Monitor, Smart Device Integration, Heated Seats. Rear Spoiler, MP3 Player, Privacy Glass, Keyless Entry, Child Safety Locks. OPTION PACKAGES2ND-ROW DUAL CAPTAIN'S CHAIRS Two bucket seats w/fold-down armrests in place of standard 2nd row bench seat, TOWING PACKAGE Factory installed trailer hitch w/5,000 lbs, towing capacity, REMOTE ENGINE START W/REMOTE KEY FOB (1), FRAMELESS SELF-DIMMING REARVIEW MIRROR compass and HomeLink garage door opener, PRIVACY COVER tonneau privacy cover for cargo area. Volkswagen 3.6L V6 SE with REFLEX SILVER exterior and TITAN BLACK V-TEX interior features a V6 Cylinder Engine with 276 HP at 6200 RPM*. OUR OFFERINGSNorth Park Volkswagen of Dominion is located at 21315 West Interstate 10, just east of Friedrich Park. Volkswagen is widely recognized for quality, reliability, value, and an award-winning commitment to customer satisfaction. Our state of the art dealership has the largest VW inventory in Central Texas. Visit us at www.northparkvw.com to schedule an appointment with one of our VW Experts. Please confirm the accuracy of the included equipment by calling us prior to purchase. Heated Seats, 3rd Row Seat, Satellite Radio. 3.6L V6 SE w/Technology trim, PURE WHITE exterior and SHETLAND V-TEX LEATHERETTE interior READ MORE!KEY FEATURES INCLUDEThird Row Seat, Power Liftgate, Rear Air, Heated Driver Seat, Back-Up Camera, Satellite Radio, iPod/MP3 Input, CD Player, Onboard Communications System, Remote Engine Start, Dual Zone A/C, Lane Keeping Assist, Cross-Traffic Alert, Smart Device Integration, Blind Spot Monitor Rear Spoiler, MP3 Player, Privacy Glass, Remote Trunk Release, Keyless Entry. OPTION PACKAGES20" SILVER TRIPLE 5-SPOKE WHEELS Wheels: 20" Silver Triple 5-Spoke Alloy, Tires: 20" All-Season, 2ND-ROW DUAL CAPTAIN'S CHAIRS Two bucket seats w/fold-down armrests in place of standard 2nd row bench seat, TOWING PACKAGE Factory installed trailer hitch w/5,000 lbs, towing capacity, FRAMELESS SELF-DIMMING REARVIEW MIRROR compass and HomeLink garage door opener, PRIVACY COVER tonneau privacy cover for cargo area. Volkswagen 3.6L V6 SE w/Technology with PURE WHITE exterior and SHETLAND V-TEX LEATHERETTE interior features a V6 Cylinder Engine with 276 HP at 6200 RPM*. EXPERTS ARE SAYINGGreat Gas Mileage: 24 MPG Hwy. MORE ABOUT USNorth Park Volkswagen of Dominion is located at 21315 West Interstate 10, just east of Friedrich Park. Volkswagen is widely recognized for quality, reliability, value, and an award-winning commitment to customer satisfaction. Our state of the art dealership has the largest VW inventory in Central Texas. Visit us at www.northparkvw.com to schedule an appointment with one of our VW Experts. Please confirm the accuracy of the included equipment by calling us prior to purchase. Third Row Seat, Heated Seats, CD Player. 3.6L V6 SE w/Technology trim, PLATINUM GRAY METALLIC exterior and TITAN BLACK V-TEX interior. SEE MORE!KEY FEATURES INCLUDEThird Row Seat, Power Liftgate, Rear Air, Heated Driver Seat, Back-Up Camera, Satellite Radio, iPod/MP3 Input, CD Player, Onboard Communications System, Remote Engine Start, Dual Zone A/C, Lane Keeping Assist, Cross-Traffic Alert, Smart Device Integration, Blind Spot Monitor Rear Spoiler, MP3 Player, Privacy Glass, Remote Trunk Release, Keyless Entry. OPTION PACKAGES20" SILVER TRIPLE 5-SPOKE WHEELS Wheels: 20" Silver Triple 5-Spoke Alloy, Tires: 20" All-Season, 2ND-ROW DUAL CAPTAIN'S CHAIRS Two bucket seats w/fold-down armrests in place of standard 2nd row bench seat, TOWING PACKAGE Factory installed trailer hitch w/5,000 lbs, towing capacity, FRAMELESS SELF-DIMMING REARVIEW MIRROR compass and HomeLink garage door opener, PRIVACY COVER tonneau privacy cover for cargo area. Volkswagen 3.6L V6 SE w/Technology with PLATINUM GRAY METALLIC exterior and TITAN BLACK V-TEX interior features a V6 Cylinder Engine with 276 HP at 6200 RPM*. EXPERTS ARE SAYINGGreat Gas Mileage: 24 MPG Hwy. OUR OFFERINGSNorth Park Volkswagen of Dominion is located at 21315 West Interstate 10, just east of Friedrich Park. Volkswagen is widely recognized for quality, reliability, value, and an award-winning commitment to customer satisfaction. Our state of the art dealership has the largest VW inventory in Central Texas. Visit us at www.northparkvw.com to schedule an appointment with one of our VW Experts. Please confirm the accuracy of the included equipment by calling us prior to purchase. Heated Seats, 3rd Row Seat, CD Player. 3.6L V6 SE w/Technology trim, PLATINUM GRAY METALLIC exterior and TITAN BLACK V-TEX interior. CLICK NOW!KEY FEATURES INCLUDEThird Row Seat, All Wheel Drive, Power Liftgate, Rear Air, Heated Driver Seat, Back-Up Camera, Satellite Radio, iPod/MP3 Input, CD Player, Onboard Communications System, Remote Engine Start, Dual Zone A/C, Smart Device Integration, Lane Keeping Assist, Blind Spot Monitor Rear Spoiler, MP3 Player, Privacy Glass, Remote Trunk Release, Keyless Entry. OPTION PACKAGES20" SILVER TRIPLE 5-SPOKE WHEELS Wheels: 20" Silver Triple 5-Spoke Alloy, Tires: 20" All-Season, TOWING PACKAGE Factory installed trailer hitch w/5,000 lbs, towing capacity. Volkswagen 3.6L V6 SE w/Technology with PLATINUM GRAY METALLIC exterior and TITAN BLACK V-TEX interior features a V6 Cylinder Engine with 276 HP at 6200 RPM*. WHO WE ARENorth Park Volkswagen of Dominion is located at 21315 West Interstate 10, just east of Friedrich Park. Volkswagen is widely recognized for quality, reliability, value, and an award-winning commitment to customer satisfaction. Our state of the art dealership has the largest VW inventory in Central Texas. Visit us at www.northparkvw.com to schedule an appointment with one of our VW Experts. Please confirm the accuracy of the included equipment by calling us prior to purchase. 3rd Row Seat, Heated Seats. TERRA BROWN METALLIC exterior and SHETLAND V-TEX LEATHERETTE interior, 3.6L V6 SE w/Technology trim AND MORE!KEY FEATURES INCLUDEThird Row Seat, Power Liftgate, Rear Air, Heated Driver Seat, Back-Up Camera, Satellite Radio, iPod/MP3 Input, CD Player, Onboard Communications System, Remote Engine Start, Dual Zone A/C, Lane Keeping Assist, Cross-Traffic Alert, Smart Device Integration, Blind Spot Monitor Rear Spoiler, MP3 Player, Privacy Glass, Remote Trunk Release, Keyless Entry. OPTION PACKAGES20" SILVER TRIPLE 5-SPOKE WHEELS Wheels: 20" Silver Triple 5-Spoke Alloy, Tires: 20" All-Season, 2ND-ROW DUAL CAPTAIN'S CHAIRS Two bucket seats w/fold-down armrests in place of standard 2nd row bench seat, TOWING PACKAGE Factory installed trailer hitch w/5,000 lbs, towing capacity, FRAMELESS SELF-DIMMING REARVIEW MIRROR compass and HomeLink garage door opener, PRIVACY COVER tonneau privacy cover for cargo area. Volkswagen 3.6L V6 SE w/Technology with TERRA BROWN METALLIC exterior and SHETLAND V-TEX LEATHERETTE interior features a V6 Cylinder Engine with 276 HP at 6200 RPM*. EXPERTS RAVEGreat Gas Mileage: 24 MPG Hwy. BUY FROM AN AWARD WINNING DEALERNorth Park Volkswagen of Dominion is located at 21315 West Interstate 10, just east of Friedrich Park. Volkswagen is widely recognized for quality, reliability, value, and an award-winning commitment to customer satisfaction. Our state of the art dealership has the largest VW inventory in Central Texas. Visit us at www.northparkvw.com to schedule an appointment with one of our VW Experts. Please confirm the accuracy of the included equipment by calling us prior to purchase. Third Row Seat, Heated Seats, Satellite Radio. FORTANA RED exterior and TITAN BLACK V-TEX interior, 3.6L V6 SE w/Technology trim CLICK NOW!KEY FEATURES INCLUDEThird Row Seat, Power Liftgate, Rear Air, Heated Driver Seat, Back-Up Camera, Satellite Radio, iPod/MP3 Input, CD Player, Onboard Communications System, Remote Engine Start, Dual Zone A/C, Lane Keeping Assist, Cross-Traffic Alert, Smart Device Integration, Blind Spot Monitor Rear Spoiler, MP3 Player, Privacy Glass, Remote Trunk Release, Keyless Entry. OPTION PACKAGES20" SILVER TRIPLE 5-SPOKE WHEELS Wheels: 20" Silver Triple 5-Spoke Alloy, Tires: 20" All-Season, 2ND-ROW DUAL CAPTAIN'S CHAIRS Two bucket seats w/fold-down armrests in place of standard 2nd row bench seat, TOWING PACKAGE Factory installed trailer hitch w/5,000 lbs, towing capacity, FRAMELESS SELF-DIMMING REARVIEW MIRROR compass and HomeLink garage door opener, PRIVACY COVER tonneau privacy cover for cargo area. Volkswagen 3.6L V6 SE w/Technology with FORTANA RED exterior and TITAN BLACK V-TEX interior features a V6 Cylinder Engine with 276 HP at 6200 RPM*. EXPERTS RAVEGreat Gas Mileage: 24 MPG Hwy. MORE ABOUT USNorth Park Volkswagen of Dominion is located at 21315 West Interstate 10, just east of Friedrich Park. Volkswagen is widely recognized for quality, reliability, value, and an award-winning commitment to customer satisfaction. Our state of the art dealership has the largest VW inventory in Central Texas. Visit us at www.northparkvw.com to schedule an appointment with one of our VW Experts. Please confirm the accuracy of the included equipment by calling us prior to purchase. Third Row Seat, Heated Seats, Satellite Radio. 3.6L V6 SE w/Technology trim, TOURMALINE BLUE exterior and TITAN BLACK V-TEX interior. CLICK ME!KEY FEATURES INCLUDEThird Row Seat, Power Liftgate, Rear Air, Heated Driver Seat, Back-Up Camera, Satellite Radio, iPod/MP3 Input, CD Player, Onboard Communications System, Remote Engine Start, Dual Zone A/C, Lane Keeping Assist, Cross-Traffic Alert, Smart Device Integration, Blind Spot Monitor Rear Spoiler, MP3 Player, Privacy Glass, Remote Trunk Release, Keyless Entry. OPTION PACKAGES20" SILVER TRIPLE 5-SPOKE WHEELS Wheels: 20" Silver Triple 5-Spoke Alloy, Tires: 20" All-Season, 2ND-ROW DUAL CAPTAIN'S CHAIRS Two bucket seats w/fold-down armrests in place of standard 2nd row bench seat, TOWING PACKAGE Factory installed trailer hitch w/5,000 lbs, towing capacity, FRAMELESS SELF-DIMMING REARVIEW MIRROR compass and HomeLink garage door opener, PRIVACY COVER tonneau privacy cover for cargo area. Volkswagen 3.6L V6 SE w/Technology with TOURMALINE BLUE exterior and TITAN BLACK V-TEX interior features a V6 Cylinder Engine with 276 HP at 6200 RPM*. EXPERTS RAVEGreat Gas Mileage: 24 MPG Hwy. WHO WE ARENorth Park Volkswagen of Dominion is located at 21315 West Interstate 10, just east of Friedrich Park. Volkswagen is widely recognized for quality, reliability, value, and an award-winning commitment to customer satisfaction. Our state of the art dealership has the largest VW inventory in Central Texas. Visit us at www.northparkvw.com to schedule an appointment with one of our VW Experts. Please confirm the accuracy of the included equipment by calling us prior to purchase. Heated Seats, Third Row Seat, iPod/MP3 Input. PURE WHITE exterior and TITAN BLACK V-TEX interior, 3.6L V6 SE w/Technology R-Line trim. AND MORE!KEY FEATURES INCLUDEThird Row Seat, Power Liftgate, Rear Air, Heated Driver Seat, Back-Up Camera, Satellite Radio, iPod/MP3 Input, CD Player, Onboard Communications System, Aluminum Wheels, Remote Engine Start, Dual Zone A/C, Blind Spot Monitor, Cross-Traffic Alert, Smart Device Integration. Rear Spoiler, MP3 Player, Privacy Glass, Remote Trunk Release, Keyless Entry. OPTION PACKAGESTOWING PACKAGE Factory installed trailer hitch w/5,000 lbs, towing capacity, FRAMELESS SELF-DIMMING REARVIEW MIRROR compass and HomeLink garage door opener, PRIVACY COVER tonneau privacy cover for cargo area. Volkswagen 3.6L V6 SE w/Technology R-Line with PURE WHITE exterior and TITAN BLACK V-TEX interior features a V6 Cylinder Engine with 276 HP at 6200 RPM*. VEHICLE REVIEWSGreat Gas Mileage: 24 MPG Hwy. VISIT US TODAYNorth Park Volkswagen of Dominion is located at 21315 West Interstate 10, just east of Friedrich Park. Volkswagen is widely recognized for quality, reliability, value, and an award-winning commitment to customer satisfaction. Our state of the art dealership has the largest VW inventory in Central Texas. Visit us at www.northparkvw.com to schedule an appointment with one of our VW Experts. Please confirm the accuracy of the included equipment by calling us prior to purchase. 3rd Row Seat, Heated Seats, Satellite Radio. PURE WHITE exterior and SHETLAND V-TEX LEATHERETTE interior, 3.6L V6 SE w/Technology trim. READ MORE!KEY FEATURES INCLUDEThird Row Seat, Power Liftgate, Rear Air, Heated Driver Seat, Back-Up Camera, Satellite Radio, iPod/MP3 Input, CD Player, Onboard Communications System, Remote Engine Start, Dual Zone A/C, Lane Keeping Assist, Cross-Traffic Alert, Smart Device Integration, Blind Spot Monitor Rear Spoiler, MP3 Player, Privacy Glass, Remote Trunk Release, Keyless Entry. OPTION PACKAGES20" SILVER TRIPLE 5-SPOKE WHEELS Wheels: 20" Silver Triple 5-Spoke Alloy, Tires: 20" All-Season, 2ND-ROW DUAL CAPTAIN'S CHAIRS Two bucket seats w/fold-down armrests in place of standard 2nd row bench seat, TOWING PACKAGE Factory installed trailer hitch w/5,000 lbs, towing capacity, FRAMELESS SELF-DIMMING REARVIEW MIRROR compass and HomeLink garage door opener, PRIVACY COVER tonneau privacy cover for cargo area. Volkswagen 3.6L V6 SE w/Technology with PURE WHITE exterior and SHETLAND V-TEX LEATHERETTE interior features a V6 Cylinder Engine with 276 HP at 6200 RPM*. EXPERTS REPORTGreat Gas Mileage: 24 MPG Hwy. BUY FROM AN AWARD WINNING DEALERNorth Park Volkswagen of Dominion is located at 21315 West Interstate 10, just east of Friedrich Park. Volkswagen is widely recognized for quality, reliability, value, and an award-winning commitment to customer satisfaction. Our state of the art dealership has the largest VW inventory in Central Texas. Visit us at www.northparkvw.com to schedule an appointment with one of our VW Experts. Please confirm the accuracy of the included equipment by calling us prior to purchase. 3rd Row Seat, Sunroof, Heated Seats. 3.6L V6 SE w/Technology trim, PLATINUM GRAY METALLIC exterior and TITAN BLACK V-TEX interior. CLICK NOW!KEY FEATURES INCLUDEThird Row Seat, Power Liftgate, Rear Air, Heated Driver Seat, Back-Up Camera, Satellite Radio, iPod/MP3 Input, CD Player, Onboard Communications System, Remote Engine Start, Dual Zone A/C, Blind Spot Monitor, Smart Device Integration, Cross-Traffic Alert, Lane Keeping Assist Rear Spoiler, MP3 Player, Remote Trunk Release, Keyless Entry, Privacy Glass. OPTION PACKAGESPANORAMIC SUNROOF PACKAGE HomeLink Garage Door Opener, Panoramic Sunroof, 20" SILVER TRIPLE 5-SPOKE WHEELS Wheels: 20" Silver Triple 5-Spoke Alloy, Tires: 20" All-Season, TOWING PACKAGE Factory installed trailer hitch w/5,000 lbs, towing capacity, FRAMELESS SELF-DIMMING REARVIEW MIRROR compass and HomeLink garage door opener, PRIVACY COVER tonneau privacy cover for cargo area. Volkswagen 3.6L V6 SE w/Technology with PLATINUM GRAY METALLIC exterior and TITAN BLACK V-TEX interior features a V6 Cylinder Engine with 276 HP at 6200 RPM*. VEHICLE REVIEWSGreat Gas Mileage: 24 MPG Hwy. WHO WE ARENorth Park Volkswagen of Dominion is located at 21315 West Interstate 10, just east of Friedrich Park. Volkswagen is widely recognized for quality, reliability, value, and an award-winning commitment to customer satisfaction. Our state of the art dealership has the largest VW inventory in Central Texas. Visit us at www.northparkvw.com to schedule an appointment with one of our VW Experts. Please confirm the accuracy of the included equipment by calling us prior to purchase. 3rd Row Seat, Sunroof, Heated Seats, Satellite Radio, Back-Up Camera, CD Player. PURE WHITE exterior and TITAN BLACK V-TEX interior SEE MORE!KEY FEATURES INCLUDEThird Row Seat, Power Liftgate, Rear Air, Heated Driver Seat, Back-Up Camera, Satellite Radio, iPod/MP3 Input, CD Player, Onboard Communications System, Remote Engine Start, Dual Zone A/C, Blind Spot Monitor, Smart Device Integration, Cross-Traffic Alert, Lane Keeping Assist. Rear Spoiler, MP3 Player, Remote Trunk Release, Keyless Entry, Privacy Glass. OPTION PACKAGESPANORAMIC SUNROOF PACKAGE HomeLink Garage Door Opener, Panoramic Sunroof, 20" SILVER TRIPLE 5-SPOKE WHEELS Wheels: 20" Silver Triple 5-Spoke Alloy, Tires: 20" All-Season, TOWING PACKAGE Factory installed trailer hitch w/5,000 lbs, towing capacity, FRAMELESS SELF-DIMMING REARVIEW MIRROR compass and HomeLink garage door opener, PRIVACY COVER tonneau privacy cover for cargo area. Volkswagen 3.6L V6 SE w/Technology with PURE WHITE exterior and TITAN BLACK V-TEX interior features a V6 Cylinder Engine with 276 HP at 6200 RPM*. EXPERTS REPORTGreat Gas Mileage: 24 MPG Hwy. BUY FROM AN AWARD WINNING DEALERNorth Park Volkswagen of Dominion is located at 21315 West Interstate 10, just east of Friedrich Park. Volkswagen is widely recognized for quality, reliability, value, and an award-winning commitment to customer satisfaction. Our state of the art dealership has the largest VW inventory in Central Texas. Visit us at www.northparkvw.com to schedule an appointment with one of our VW Experts. Please confirm the accuracy of the included equipment by calling us prior to purchase. If you're in the market for a new or new-to-you car, it's time to visit North Park Volkswagen in San Antonio, TX. With impressive inventories of new, used and certified pre-owned Volkswagen vehicles, there's something for everyone on our lot. Visit our Volkswagen dealership near Boerne, TX, to find the new New vehicle of your dreams! Whether you want a zippy little sedan like the Volkswagen Jetta or are more interested in an SUV like the VW Tiguan, our helpful and friendly sales staff will work with you to narrow down your options and select a vehicle that hits every point on your checklist. Don't hesitate to reach out at any time to learn more about the new New vehicles we have for sale here in San Antonio, or the specials we're currently offering.